Welcome to the Raritan Valley Umpires Association! The RVUA is one of the 15 state chapters of the Umpire Association of NJ. The organization that oversees all interscholastic sports competition in the state of New Jersey is The New Jersey State Interscholastic Athletic Association. 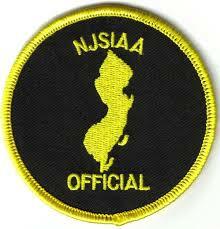 The NJSIAA requires that all high school sports officials are trained and tested when they earn their certification. This is a suggested workout and some simple stretches to help loosen you up before the season and before games. Now for the disclaimer.. check with your doctor before doing any physical activity. We need to stay/get into shape for the upcoming season. Remember the student athletes are always going to stay the same age. It is the umpires that keep getting older.